NEW LISTING - 1875 Chickasaw Drive London, OH 43140! 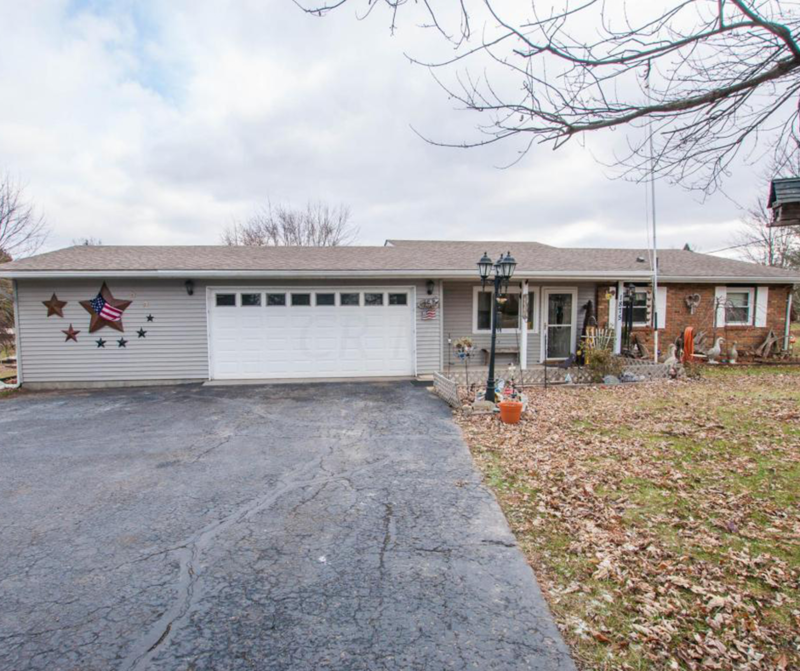 NEW LISTING – 1875 Chickasaw Drive London, OH 43140! Darling ranch style home in Choctaw Lake on a huge corner lot with over 1/2 acre. Original owner has well maintained this property with many updates including kitchen counter tops and laminate flooring in 2017. Bathroom has been updated with bathfitter, it has a linen closet, updated vanity. Newer roof and windows. Brand new carpet installed last week in orange bedroom. Home has a water softener. House is mainly heated with electric baseboards but does have central air conditioning and a heat pump for back up. Walk-in laundry room. Large rear deck. Small fenced area for a dog run. Property boasts a shed, garden beds, fruit trees including peach and apple. Huge garage! Has a 2 car door but could easily have enough size to be called a 3 car. This was a recent addition.